VANCOUVER, June 8, 2018 /CNW/ - A&W Food Services of Canada Inc. is marking World Oceans Day by eliminating all plastic straws from all restaurants by the end of this year. It will be the first quick service restaurant chain in North America to make this commitment. "Reducing waste from landfills is a top priority for A&W and this is one big way that we can make a difference," says Susan Senecal, A&W Canada's President and Chief Executive Officer. "We are proud to make this change, which has been driven by the wishes of our guests, franchisees, and staff." 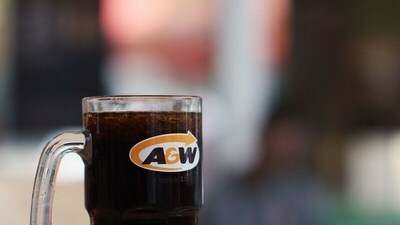 A&W will provide guests with the option of a paper straw. The paper straws are 100% biodegradable, compostable and are sustainably sourced. They last 2-3 hours in a drink without breaking down, but naturally biodegrade in 3-6 months in the environment. This switch to paper will keep 82 million plastic straws out of landfills every year. "Introducing packaging innovations that reduce waste is key to A&W's environmental strategy," explains Tyler Pronyk, A&W Canada's Director of Distribution, Equipment & Packaging. "By using compostable packaging, real mugs, plates and cutlery, we are diverting millions of single-use packaging from landfills every year." "Eliminating plastic straws is another big step for us. As we learn more about new tools and sustainable practices, we look forward to more improvements ahead," he adds.